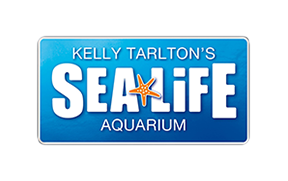 Yes - SEA LIFE Kelly Tarlton's is wheelchair accessible (there are two sets of stairs, which each have a wheel chair lift) and disabled access is provided throughout the attraction. Bench seating (without back or armrests) is available at intervals throughout the aquarium and standard seating (seat back only) is provided for our cafe guests. Wheelchairs may be borrowed from the admissions area if required. Please note that wheelchairs are on a first come, first served basis, and cannot be booked or reserved ahead of time. You will be required to leave your ID behind while you use the wheelchair. There is one designated accessible parking space available for disabled guests to use in our car park.